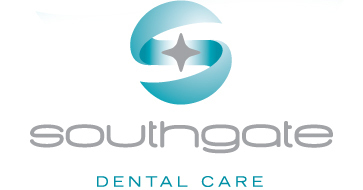 At Southgate Dental Care, your dental health is our concern. At your first appointment, we will endeavour to find out as much as we can about you and your previous dental care, as well as your expectations. Your initial appointment will last approximately 30 minutes to enable us to get to know you and for you to discuss any problems you may have. We will listen to any concerns or problems you may have. We will ask questions about your general health to identify any risk factors that may affect your oral health. We will examine your teeth and check for health. We examine any fillings, crowns etc and check for stability, function and aesthetics. We will examine your gums and associated tissues and assess their health. We will carry out an oral cancer screen. We will examine your occlusion and Jaw joints for signs of wear or instability. We will usually take x-rays to help detect dental disease that cannot be diagnosed on visual examination alone. If appropriate we will assess advanced treatment options including Implants and orthodontic treatment needs. On conclusion of the examination any proposed treatment needs will have been fully explained and discussed. Options to the preferred treatment plan will also have been discussed. You will be given a written treatment plan immediately after the examination with all indicated charges. Many of the disappointments individuals have with dentistry can be traced back to an incomplete evaluation and diagnosis. It is our aim to make a diagnosis and develop a lifetime master treatment plan that will achieve optimal comfort, function, health and aesthetics for you.